It's that time of the year! Yup. When we look back and choose from among the pile of books that you have ploughed through to pick up the very best. Without much ado, then. In no particular order! 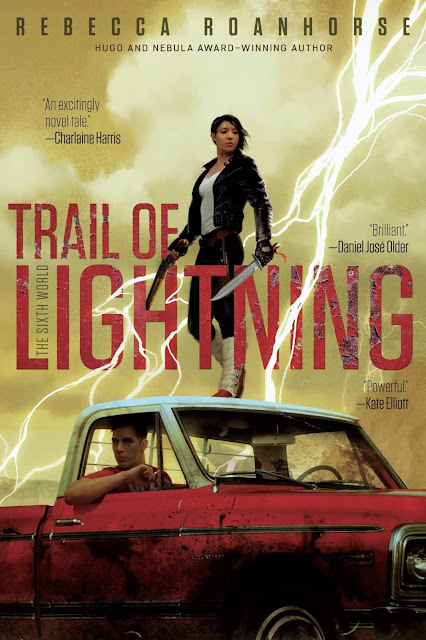 Trail of lightning will possibly be among my top five books of the year. Period. Navajo legends, mythical monsters, Gods and wicked men - all of this comes to life in Rebecca Roanhorse's urban fantasy debut that will rock the socks off you, by the time you are even half-way through. For me, the experience was a double joy as this was my first audible title and the breathtaking Sixth World, ravaged by the apocalyptic floods known as the Big Water in the near future, is so wonderfully depicted by Rebecca's sprightly writing and brought to life by narrator, Tanis Paranteau's amazing rendition. Set in a completely immersive native world that begs for more exploration, headlined by a native young woman as the kickass protagonist and written by Rebecca, who herself is from the Navajo area in the US. Refreshingly original, did you say? Oh yes. 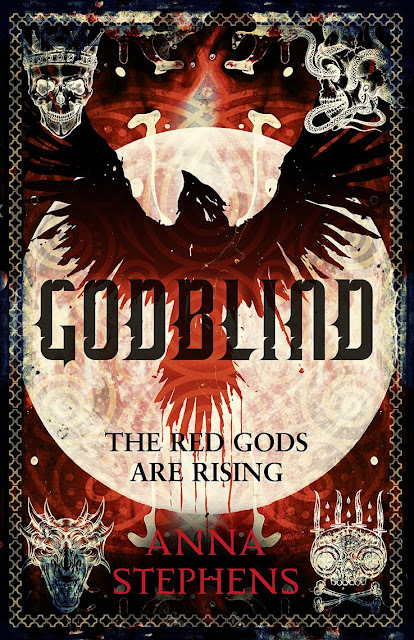 Godblind is Anna Stephen's spell-binding debut that captured the fantasy world's imagination over - her unflinching story is splotched dark and grim with blood, unapologetically pitching her as one those worthy successors to Joe Abercrombie and Mark Lawrence. I didn't get to read this one last year and am kicking myself for the miss. Anna is one of the top notch talents who burst onto the fantasy grim-dark scene last year - along with the likes of Anna Smith Spark and Ed McDonald ( Incidentally both of whose second books are excellent fare establishing them as major forces to be reckoned with!) So when Darksoul came out this year, I knew I had to go back and read her debut and catch up, with this rising tide of red. So finally putting speculations to rest, Marvel dropped the trailer on Friday :) Lots of fans have been going crazy over discussion groups, internets trying to piece together this one. Russo brothers' dedicated this one all the crazy fans. It's a wonderful franchise coming to an end. [ Meanwhile you can always catch up with Ms. Marvel opening a month before the End Game. The wait is on. 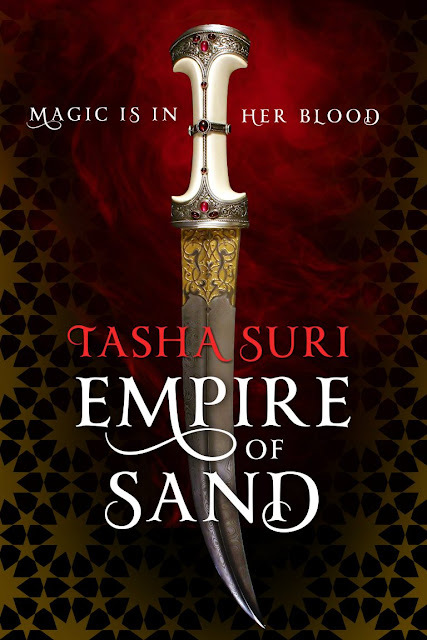 Tasha Suri’s debut, Empire of Sand ( Book of Ambha # 1) has been on my eagerly anticipated 2018 fantasy novels for a while now. The lush, south-asian mythology inspired fantasy book is said to have been born out of Tasha’s obsession with the Mughal Empire in India and colored by her unabashed love for Bollywood. So obviously since I share both these unhealthy 'obsessions' with her, I was extremely interested in how the fantasy version of such will turn out in paper.